Three weeks after issuing it, Egyptian president Mohamed Morsi today revoked the controversial decree that gave him sweeping emergency powers. This is expected to defuse the violent protests and growing political tension gripping the country. The decision came after exhaustive talks among representatives of Muslim Brotherhood, the political movement to which Morsi belongs. Although invited, the umbrella opposition group, National Salvation Front, boycotted the meeting. 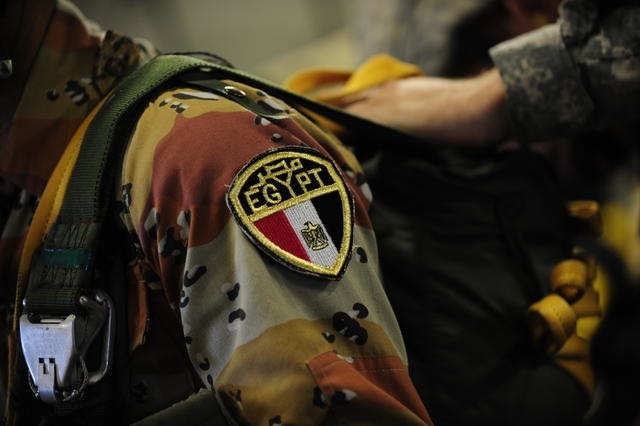 Interestingly, Morsi’s backing down came soon after the powerful Egyptian military told both sides – in no uncertain terms – to resolve their political differences through dialogue, hinting that it would take charge if violence continued. “Anything other than that (dialogue) will force us into a dark tunnel with disastrous consequences; something that we won’t allow,” the military had said in a statement. Seven people were killed and hundreds were injured in the demonstrations over the past three weeks by the Opposition parties. According to the contentious decree of November 22, Morsi’s decisions would be final and unquestionable in a court of law. While the Opposition said judiciary can’t be stripped of its powers, Morsi’s logic was that he needed such protection from judicial intervention to push through reforms. A referendum on a new constitution, moved by Morsi, will however go ahead as planned on 15 December. A government spokesperson said this is because according to the current constitution, once moved, a referendum cannot be postponed. Anti-Morsi protests were sparked by these two issues — the decree and the referendum. The opposition had been demanding that the decree be rescinded and the referendum scrapped before they would sit down for talks. The Opposition parties oppose the draft constitution because they feel it can weaken human rights and the rights of women. Political observers see Morsi’s compromise on the decree as a gesture to the Opposition to sit down and talk. However, it is yet to be seen if the Opposition parties will reciprocate. While the National Salvation Front hasn’t reacted to the latest development, its spokesperson said it will meet on Sunday to discuss it and decide the future course of action.